No Nukes in Church | Normative Signs: The Poetry of "Ought"
This sign was posted on a church (obviously) in Buffalo, NY. Not unique, certainly, but interesting. It’s an example of a normative sign that isn’t really a normative sign, at least not in the usual sense. It’s not actually telling anyone what to do. 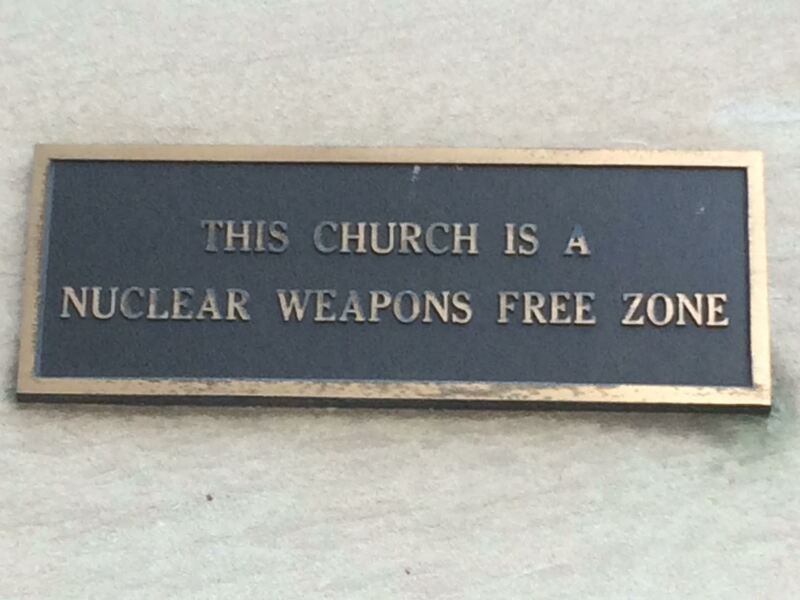 No one is expecting to bring nuclear weapons into a church, ergo no one is being directed not to. So, the sign is clearly symbolic. It’s a political slogan, masquerading as a normative sign. Thanks to Ralph Walton for submitting the picture.